This letter was written by Morton Lewis Spencer (1840-1930), the son Job Spencer (1809-1893) and Welthe Lewis (1816-1895) of Sangarfield, Oneida County, New York. 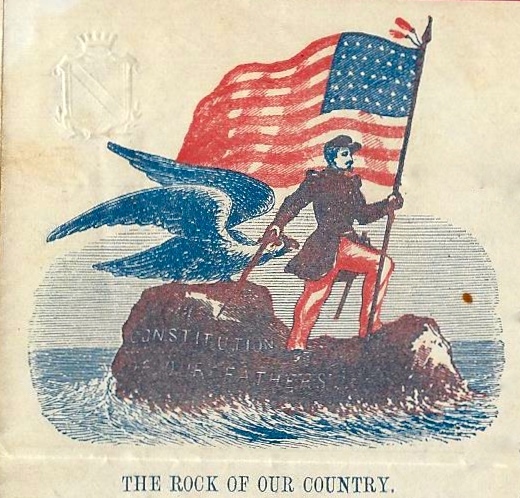 He enlisted on 1 May 1861 in Cuba, NY and joined Co. B., 23rd Infantry Regiment, NY and mustered out in Elmira, NY on 22 May 1863. Morton wrote this letter just two days after his regiment relocated from Fort Runyon to Arlington heights, Virginia. Morton Spencer was born at Sangerfield, N.Y., January 25, 1840, but had lived in Genesee township nearly all of his life. 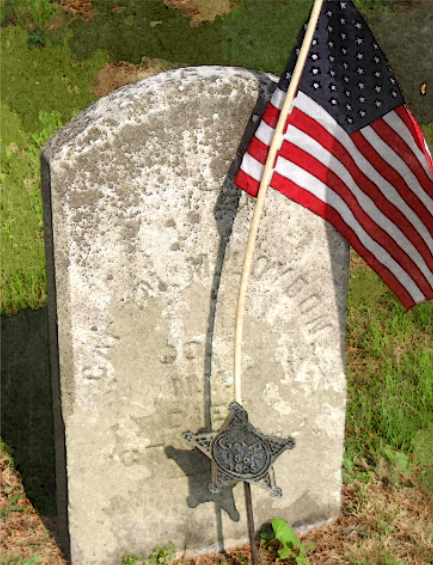 During the Civil War he was the first person in the Town of Genesee to enlist. He served in the 23rd New York Infantry, being honorably discharged from the service. He was a pensioner, being the last survivor of the Civil War veterans enlisting in the town of Genesee. Mr. Spencer was probably the oldest practicing veterinary in the State of New York. He practiced his profession until only a few weeks ago when ill health compelled him to retire. Mr. Spencer was unmarried, and is survived by a sister-in-law, Mrs. Emma Spencer of Shinglehouse, two nephews, Claude Spencer of Olean, formerly of Boliver, and Homer (Omar) Spencer of Vernona (Vernonia) Oregon, also two nieces, Emily Richards of Chicago and Eva Deeds of Iowa. 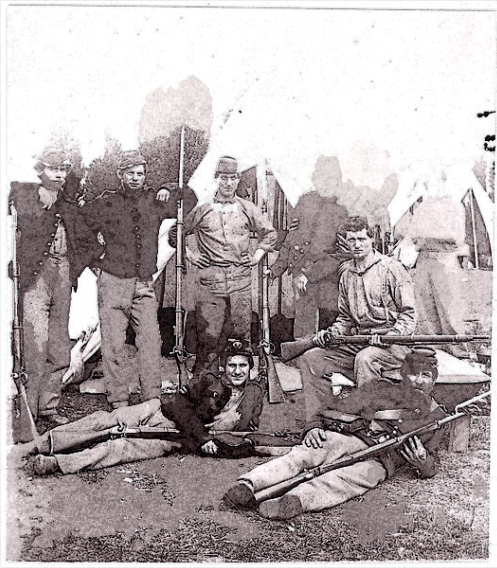 The 23rd New York Infantry was mustered into the service at Elmira on July 2, 1861, for a two years’ term, and left the state for Washington on the 5th. For two, weeks it was encamped at Meridian hill, but moved on July 23 to Fort Runyon and on Aug. 5, to Arlington heights, where it remained until Sept. 28. On Aug. 4, it was assigned to Hunter’s brigade; on Oct. 15, to Wadsworth’s brigade, McDowell’s division, and in March, 1862, to the 2nd brigade, 3d division, 1st corps, Army of the Potomac. Its first encounters with the enemy were at Fall’s Church, Ball’s cross-roads, and Munson’s hill, losing in these engagements 1 man killed and 7 wounded. On March 10, 1862, the regiment moved to Centerville, but returned after five days to Upton’s hill, proceeded to Bristoe Station and Falmouth and undertook several expeditions with Falmouth as a base of operations. On June 26, 1862, the regiment was attached to the 3d brigade, 1st division, 3d corps, Army of Virginia, with which it shared in Gen. Pope’s campaign, being in action at the Rappahannock, Sulphur Springs, Gainesville, and the second Bull Run. In September, the brigade and division became part of the 1st corps, Army of the Potomac, and fought at South mountain and Antietam, with a loss to the 23d; in the latter battle of 42 killed, wounded and missing. Until Oct. 20, the regiment encamped at Sharpsburg, Md., then moved toward Fredericksburg and was closely engaged in the battle there in December. Winter quarters were established at Belle Plain and on Jan. 9, the regiment was transferred to Patrick’s provost guard brigade, with which it served until the expiration of its term, stationed at Acquia creek in April and May, 1863. On June 26 the command was mustered out at New York city, having lost 17 by death from wounds and 55 by death from all other causes. I have written to you yesterday but I got your letter last night mailed and requesting me to write in relation to franked letters. They are franked by the members of Congress & for the volunteers while Congress sits or longer if they is an act passed. Post masters where these letters arrive at the office have no right to take any postage on them. If you have had to pay any on any letters that I have sent you, had naught to do it. The most of the letters that I have sent to you was franked by A. S. [Alexander S.] Diven, a few by A. Frank — our congressman from our part of the country. Diven is from Elmira. In fact, I do not believe you have received half of the letters I have written to you. About Julius Crandall ¹ I have not heard anything from or about him since I saw Colonel. That was that he was dead. I have not been to Washington since we came through there to come here. They are very strict. I do not let anybody pass who has not got a pass from the General. The 35th Regiment caught one prisoner yesterday who rode through our camp last. They was on a scout & got 3 more. Our boys — 20 in number — went yesterday morn but have not returned. Only two of them & the captain who was sick. About Capt. [M. M.] Loyden, ² we think he will not show his face here till he is fetched back. I think he comes pretty near a coward anyhow. To make the best of it, he had no orders to go home & get up companies nor regiments. He went home because he said he was sick & his wife was too but when he gets home, goes to getting up a company on his own hook. Left his own folks better look out how they trouble him & we sent the money yesterday, charges paid here unless Evans wants something for his trouble. If he does, pay him out of it. Tell mother I wash my own clothes. We have not got any more since I got back to Elmira when I first came back from home we got our shirts, two drawers, two pair of socks. And when they get dirty, I get in a mud puddle & wash them. The bread is rather better now — mostly hard bread. This is a healthier place up here than down on the flats & not half so many mosquitoes to eat a fellow up. About cooking, each company cooks their own grub. Some companies cook in squads. 21 men in a squad — about half enough to eat part of the time & some of the time enough. We eat pork salt, canned beaf & coffee & as much other stuff as you can get your hands on. I shall have to stop now. I wrote this with a pencil because I had so short a time to write it in. I am well as common. ¹ Pvt. Julius A. Crandall (1844-1863) was the son of Samuel Park Crandall of Nile, Allegany County, New York. Julius enlisted at age 16 in the 27th New York Infantry and was taken prisoner at the first battle of Bull Run. He was incarcerated in a prison in Tuscaloosa, Alabama, where he died. ² Lt. Marshall M. Loyden [or Loydon] (1823-1864) of Cuba, New York, resigned as acting Captain of Company B, 23rd New York Infantry on 23 September 1861 and William W. Cole was promoted to captain. In August 1862, Loyden recruited another company which became Company A, 136th New York Volunteers. Morton’s younger brothers, Fred and Israel Spencer enlisted in this company in which Loyden served as captain. Capt. Loyden died of typhoid fever on 5 October 1864 while serving 2 years later in the Fifteen New York Cavalry. This entry was posted on Monday, August 11th, 2014 at 6:22 pm	and posted in Uncategorized. You can follow any responses to this entry through the RSS 2.0 feed.